Landscaping, maintenance and irrigation equipment maker The Toro Co. (TTC) reported a 15% increase in earnings for the fourth quarter helped by strong performance across landscape contractor, golf, grounds, rental and specialty construction, and snow and ice management businesses. However, the bottom line missed analysts’ expectations and the company guided first-quarter earnings below consensus view. Net income increased 15% to $39 million and earnings jumped 16% to $0.36 per share. Adjusted earnings rose 6.7% to $0.32 per share. Net sales were $539.3 million, up 10.4% from the previous year quarter. Professional segment sales grew 11.1% as successful new product introductions in its zero-turn mower categories drove strong sales of its landscape contractor equipment. Similarly, continued momentum in the company’s golf and grounds businesses, led by solid sales of its reel and rotary mowers, greens mowers and vehicles, all contributed to the positive results. The company’s rental and specialty construction portfolio performed well with the Dingo TX 1000 compact utility loader and the new tracked Mud Buggy delivering increased sales. Residential segment net sales increased 8.7% driven by increased demand for mowers, as well as higher shipments of the next generation of Power Max HD two-stage snow thrower, featuring increased productivity with a larger 32-inch clearing width. 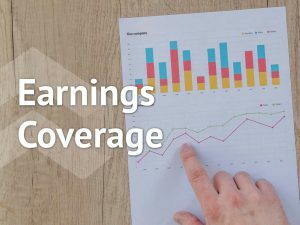 Looking ahead into the first quarter, the company expects adjusted earnings to be about $0.48 to $0.50 per share, which includes an unfavorable, one-time impact in the quarter of $0.02 related to acquisition costs. For fiscal 2019, the company expects revenue growth to exceed 5% and adjusted earnings to be about $2.90 to $2.95 per share. These adjusted estimates exclude the benefit of the excess tax deduction for share-based compensation. Toro expects continued margin pressure in the first part of fiscal 2019. However, the company is confident that its increased productivity initiatives, prudent sourcing strategies, and pricing actions will more than negate these headwinds, resulting in year-over-year gross margin improvement in fiscal 2019. Shares of Toro opened lower on Thursday and is trading in the red territory in the mid-afternoon. The stock has fallen over 15% in the year so far and over 11% in the past three months. Listen to publicly listed companies’ earnings conference calls along with the edited closed caption text.